The Catholic Talks: Question: If the Ten Commandments tell us to remember the Sabbath, which Jews do on Saturday, how come Christians do it on Sunday? If the Ten Commandments tell us to remember the Sabbath and the Jews did this on Saturday, how come Christians do it on Sunday? An interesting question indeed. If we are to be very technical about it, the Lord’s Day was never indicated by God to be a Saturday. The commandment was to work for six days, and then rest on the seventh – the Lord’s day. ( Exodus 20:2-17, Deuteronomy 5:6-21) It follows his example of resting on the seventh day after creation. It also reminds us of what it will be like when we are with him after the end of time. Since, for the Jews, Sunday is the first day of the week, then the seventh day fell on Saturday. 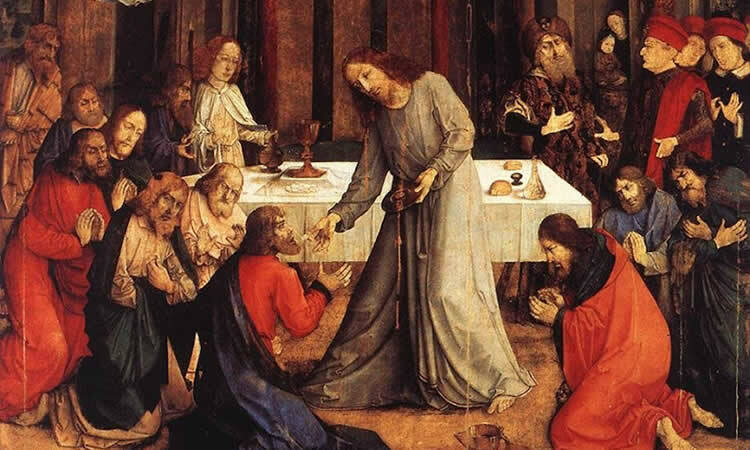 Because Sunday is the new Lord’s Day, as Catholics we are required to participate in mass on this day to fulfill the moral commandment that we should render an outward sign that is a visible and public worship. This means we cannot substitute a weekday mass in replacement for Sunday mass. In some places, the bishops have allowed anticipated mass on Saturdays. In this case, it fulfills the Sunday obligation.